Ofcom has this week issued a licence required to operate Manchester's new local TV service, over two years after YourTV won its bid for the licence. The licence, granted on the 6th May 2015 comes into force on the 31st May 2015 and has a duration of 10 1/2 years. The channel will be known as "That's Manchester", following That's TV's takeover of YourTV earlier this year, resulting in Ofcom extending the deadline for Your TV to launch a service. That's TV already operates local TV services in Oxford and around the Solent. Ofcom's licence allows the local TV service to be broadcast via the Winter Hill transmitter to households with Freeview, YouView and EE TV on channel 8 in the Greater Manchester area. Viewers in Manchester who can already receive QVC Extra on channel 57 and POP on channel 125 will be able to receive the new Manchester local TV channel when it launches, but may need to retune, as all three channels will share the same frequency from the same transmitter site. A launch date for the new channel has not yet been made public, but the current version of the licence specifies a go-live date of no later than 31st May 2015, although such deadlines can be extended by Ofcom if the broadcaster has a suitable reason for the delay in launching. 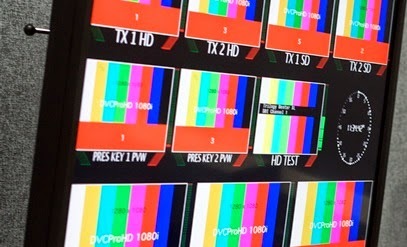 It's just over two years since Manchester's first local TV channel Channel M closed, following delays in making the service available on digital terrestrial television after switchover.